Whether you’re a certified gearhead or someone who wants to take care of some easy car maintenance to extend your vehicle’s lifespan, you’ve come to the right place. In order to take care of your car yourself, you’re going to need some vehicle tools. You don’t need a fully powered hoist crane or a welding torch, though. Keep it simple and outfit yourself with the following 5 tools for cars that will serve you for years to come. Start simple with a nice set of wrenches and pliers. These tools will be useful for both car maintenance and general home upkeep, so they’re worth the investment. Make sure the wrenches are adjustable. You also want to make sure your set includes a lug wrench and a torque wrench, as these tools are often used in car maintenance. Pliers are versatile tools that can loosen tightened screws/nuts, compress hard/tough material, cut/bend wires, and more. They’re also great for reaching areas that you can’t manually reach (they’re stronger than your fingers, anyway!). 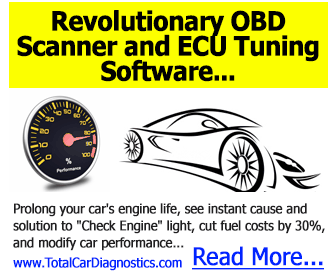 Digital automotive multimeters allow you to check the voltage and amperage of your battery. Batteries need to stay at a certain voltage/amperage in order to function properly (we all know the frustration of a dead car battery). 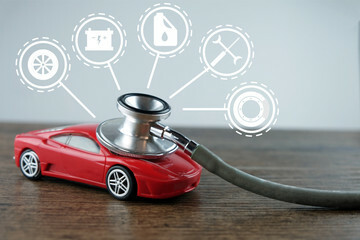 They also allow you to test other electrical components of your car, so you can understand exactly what the problem is before taking it into the shop (or attempting a DIY fix). A floor jack lifts your vehicle off the floor so you can do work on the underside, switch out tires, etc. The exact type of jack you need will depend on the size and weight of your car, so be sure to do your research before you buy. American-made floor jack options are some of the best and highest quality on the market. You can also find plenty of jack stands that will work similarly to hydraulic floor jacks if you prefer those. While working on your car, wheel chocks stop the vehicle from rolling. Imagine working on the underside of your car when it suddenly starts rolling towards (and eventually over!) you. These simple wheel stoppers are cheap and easy to use, and they can literally save your life, which is why they’re essential for any garage worker. Simple tune-ups of your vehicle can save you money and keep your car running smoothly for longer. A ratchet/socket set will allow you to do these yourself. Be sure to get a set that also has an extender feature so you can reach all necessary spots easily. You don’t have to be a professional mechanic to take great care of your vehicle. Using these 5 simple vehicle tools and learning a little bit about your car can save you money and keep your car working great for longer, even if you’re a complete car novice! Take the time to look over your car’s repair manual on our website to get the right background, and then learn 10 simple DIYs you can do at home to get started.